Details: 300 Gallon Tank with see through material so you don’t miss the expression on the face of the person dunked. It requires about 45 minutes to fill up with water. Thus, a water source and hose is required. Dimensions: 5L x 5W x 7H. Our Dunk Tank NJ is a great rental for any occasion. The Dunk Tank will bring laughter and fun for all ages. 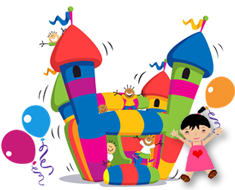 The dunk tank NJ is specially fun for school, corporate picnics and carnival events. The dunk tank NJ rental price of $300 includes all fees if within the 20 mile radius of 08840.